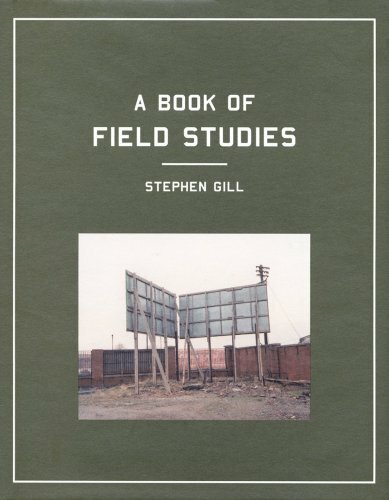 Begun in 1999, Gill’s quasi-anthropological study of British society presents eight distinct bodies of work: Audio Portraits (individuals wearing headphones, with their musical choices as captions), Cash Points (ATMs), Trolley Portraits, Day Return (train riders), Road Works, Gallery Warders, Billboards, and Lost (tourists). To Gill, each of these are talismans of current British life, and each chapter opens with a simple, explanatory statement. The point at which these studies abandon a strictly scientific project is the point at which he assigns interpretive stances to his observations (which are, nonetheless, fascinating). As many books do, this one opens with a telling passage from an admired author and, like other books, the passage is revealing of the intent of the author. The passage he has chosen is by John Cage. "The first question I ask myself when something doesn't seem to be beautiful is why do I think it's not beautiful. And very shortly you discover that there is no reason." This is a noble effort to look at the banality of urban life with a hopeful eye.